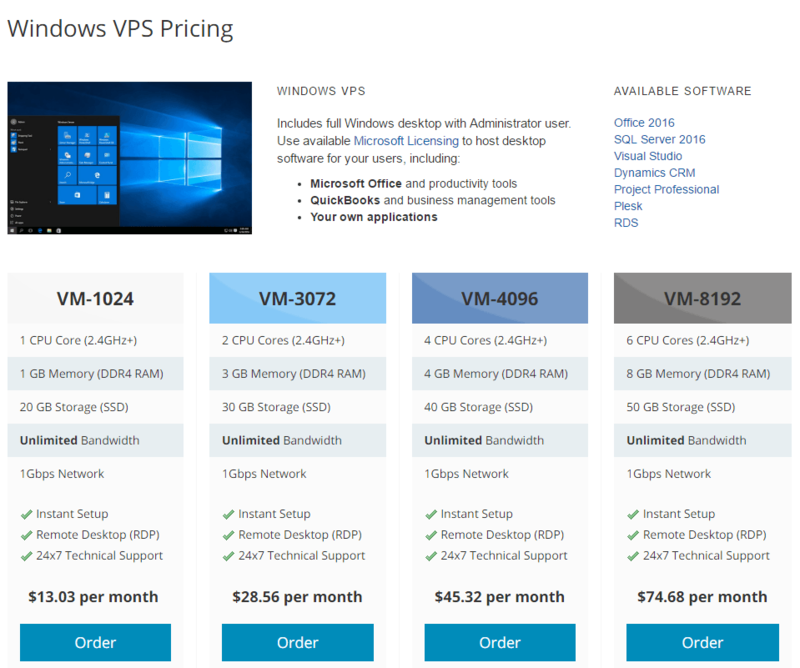 SolVPS optimized Windows VPS instances are perfect for hosting remote desktops, VDI, websites with ASP.NET and MSSQL, Microsoft Office, and other Windows applications. 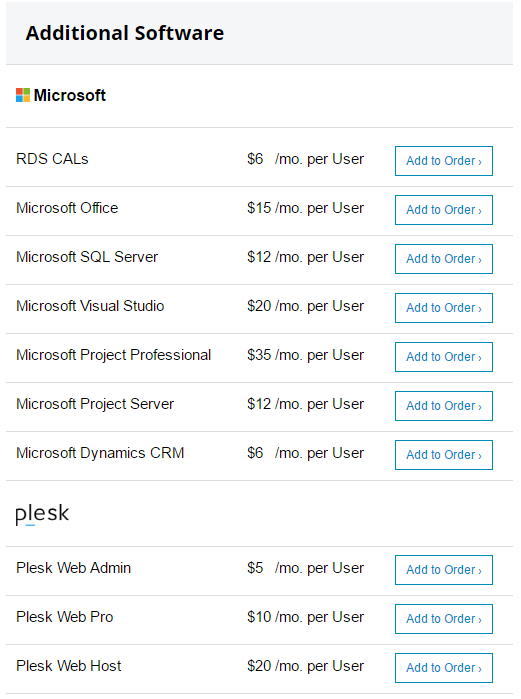 Host desktop applications and multi-user RDS environments on SolVPS Windows RDP VPS, or host websites and databases on SolVPS Windows Web Hosting VPS with Plesk. 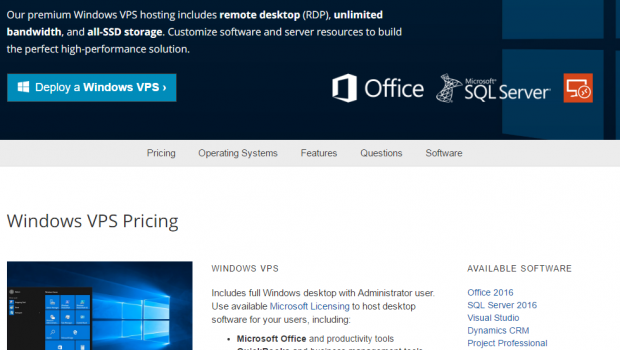 Get instant RDP access to high-performance Windows VPS hosting. 5 minute setup in USA and UK. SolVPS Windows VPS hosting platform is designed to provide the power of dedicated hosting, without the high cost. Each secure, isolated Windows VPS is equipped with the latest high-performance Xeon CPUs, solid-state (SSD) storage, and server-grade memory, provisioned on-demand. Is there a contract? How to cancel SolVPS? Service is contract-free and you may cancel at any time. There are no late charges, reactivation fees, or any other hidden fees. Service can be continued month-to-month, or pre-paid for longer period, at your discretion.